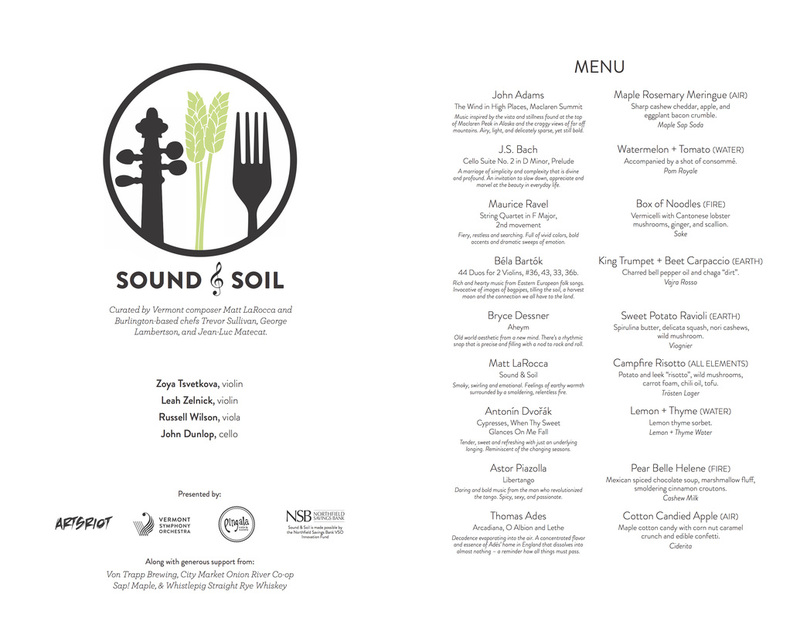 A collaboration between myself, the Vermont Symphony, ArtsRiot, and chef Trevor Sullivan from Pingala Cafe. An incredible evening with fantastic food and great musicians. Trevor and I worked together to design a 9-course meal where each dish was paired with a piece of music to complement and enhance the food.